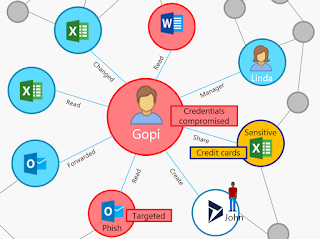 With GDPR being effective since May 25 2018, Microsoft has released a large set of tools and security mechanisms, both on Office 365 and Dynamics 365, to ensure their customers can be compliant and offer the highest level of security. 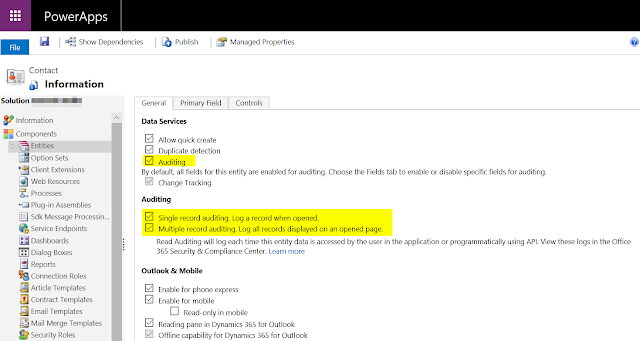 I will focus in this article on the new option to audit read actions. Display of a single CRM record. Display of a list of records in a view or export of a set of records. In the past, it was only possible to audit Create, Update, and Delete events, not the Read event, unless you implemented specific developments with plugins that would be triggered on Retrieve and RetrieveMultiple. This Microsoft Docs article does a very good job at explaining how Activity Logging works, its requirements, and how to set it up: Enable and use Activity Logging. Let's make one thing clear: if people can have a read access to data, they can manage to export the data one way or another. 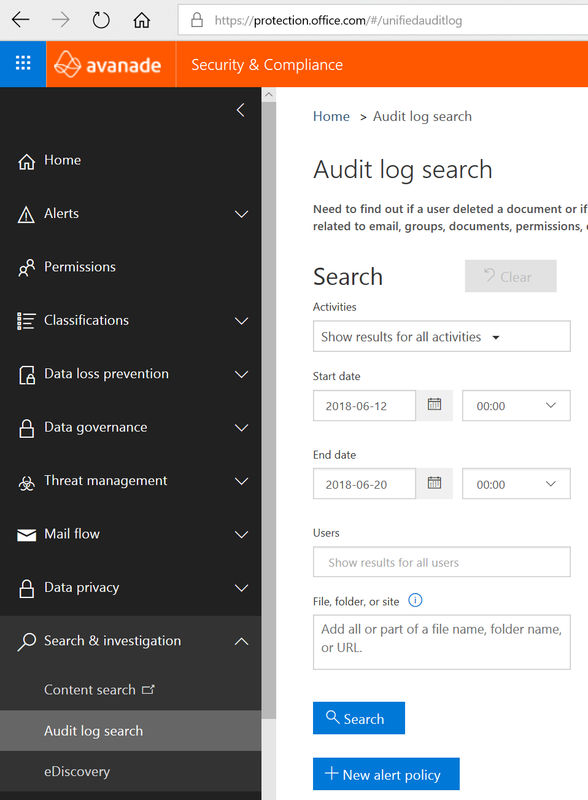 So security should come from your security model, and not based on whether or not you display or hide fields on a form, or if you disable the Export to Excel button for your users (remember the data is available through the APIs, so it's quite easy to export, for example through a Power BI report). 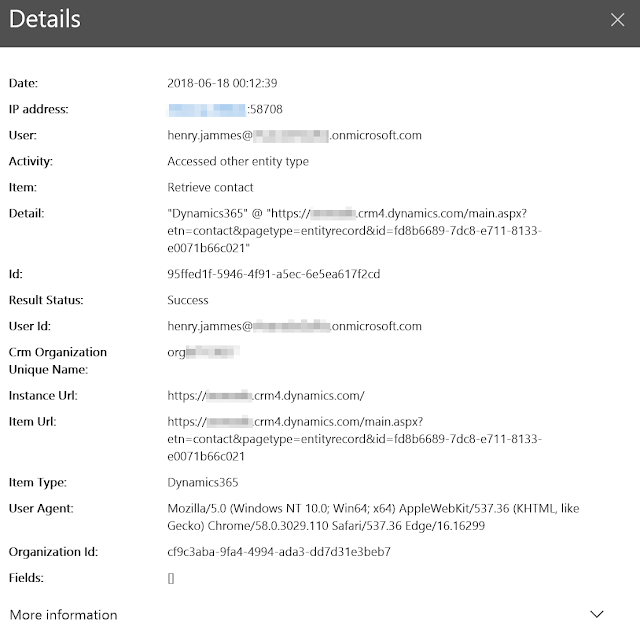 How to set up Activity Logging? 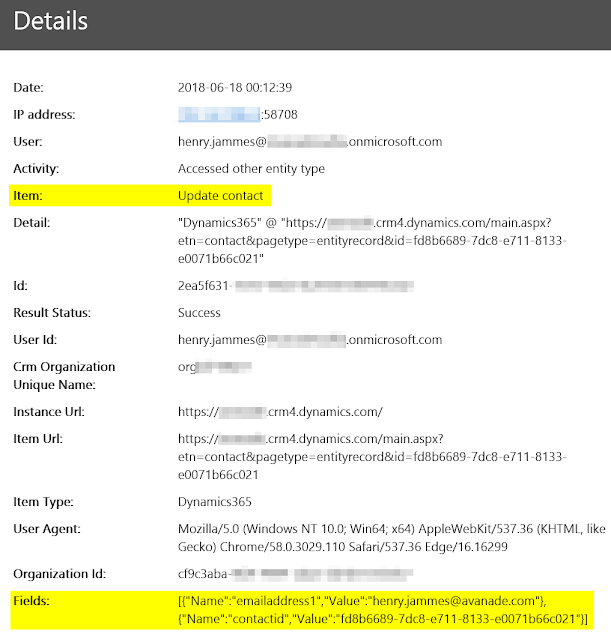 Have a Production instance with version 8.2.2.1310 or higher and an Office 365 Enterprise E3 or E5 subscription. 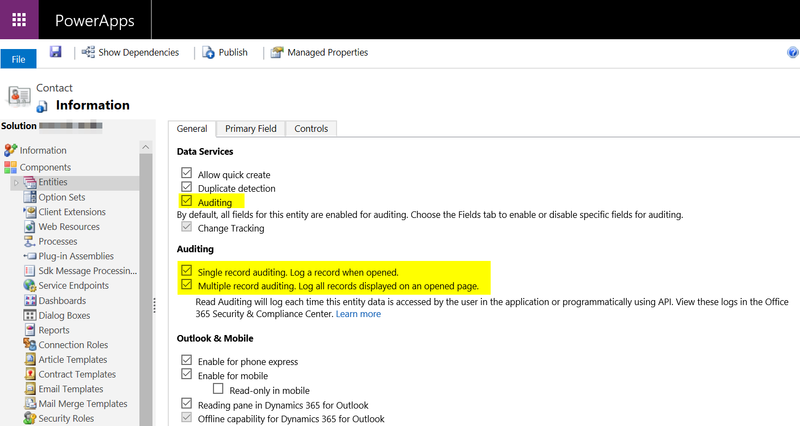 In the customizations, activate Auditing at the desired entity level, and then Single recording auditing to track when a record is opened (Retrieve message) and Multiple record auditing to track when a list of records are retrieved, either in a view or through an Excel export (RetrieveMultiple message). Where to find the Dynamics 365 Read Audit Log? 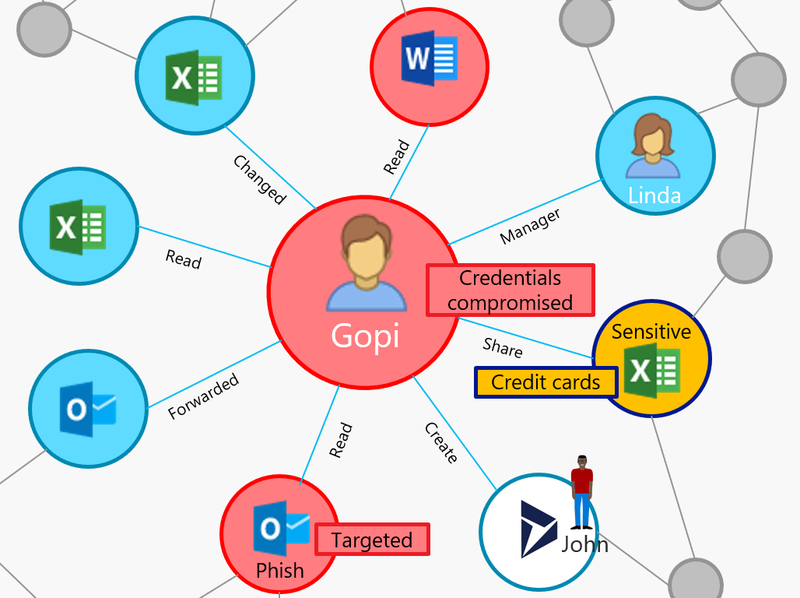 As this kind data can rapidly accumulate in huge volumes, it is logged in a dedicated place, in the Office 365 Security & Compliance Portal. 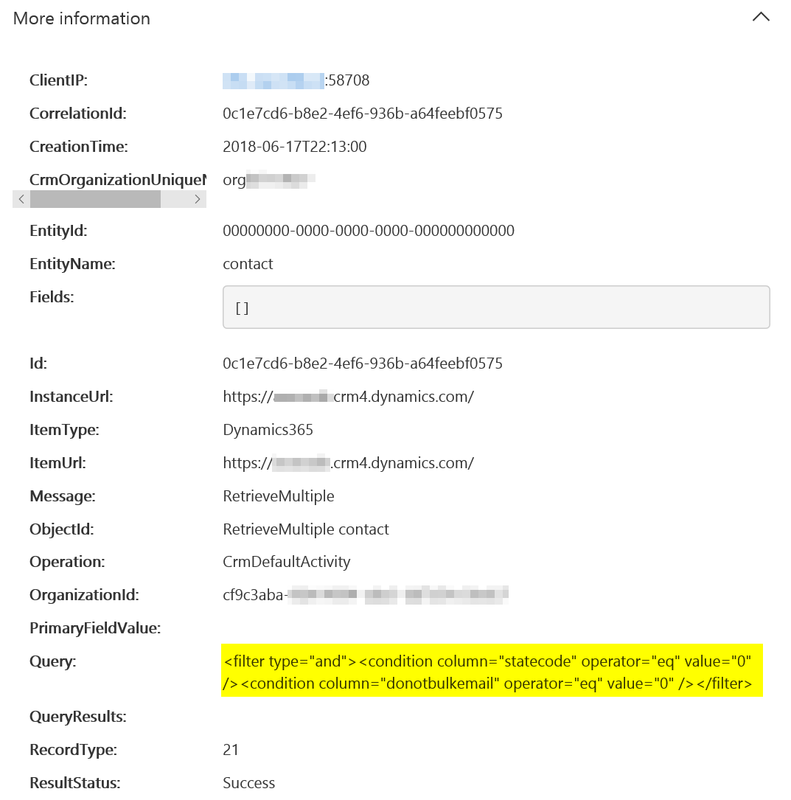 Here is a RetrieveMultiple Contacts log. Notice how the system records the FetchXML query associated with the displayed list of records, and not the collection of displayed records. This means that you do not know precisely the records that were displayed without doing some more advanced analysis. 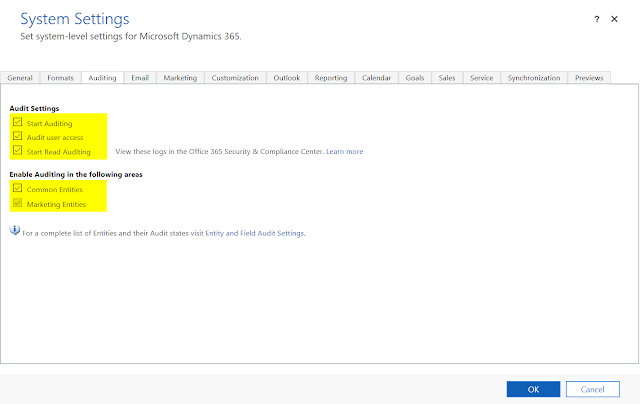 Well, as you can see, it's not very simple to get to the "Read" event for a CRM record. But at least, these events are tracked somewhere. No doubt Microsoft will improve the experience in future versions. To programmatically download data from the Office 365 audit log, you can use the Office 365 Management Activity API (REST web service).